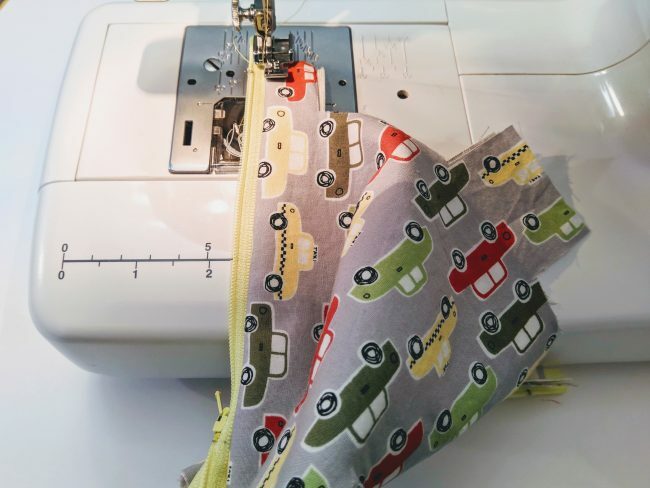 How to Sew an Exposed Zipper - Peek-a-Boo Pages - Patterns, Fabric & More! 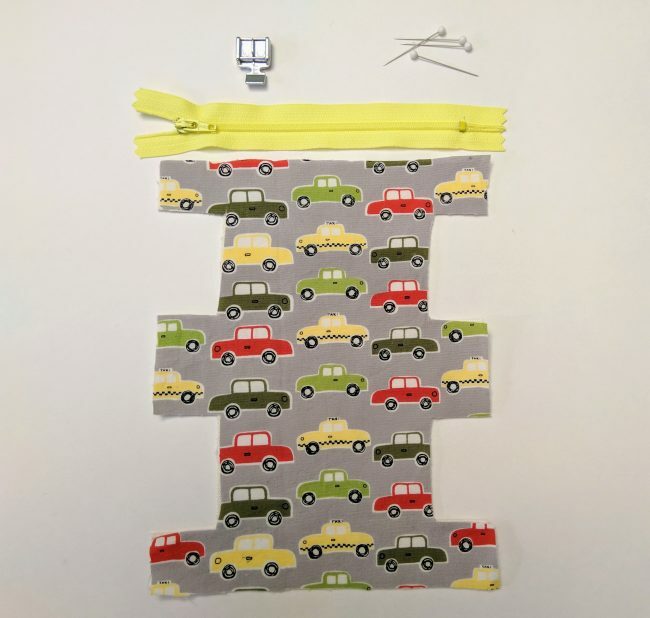 Sewing with zippers can be fun and easy! 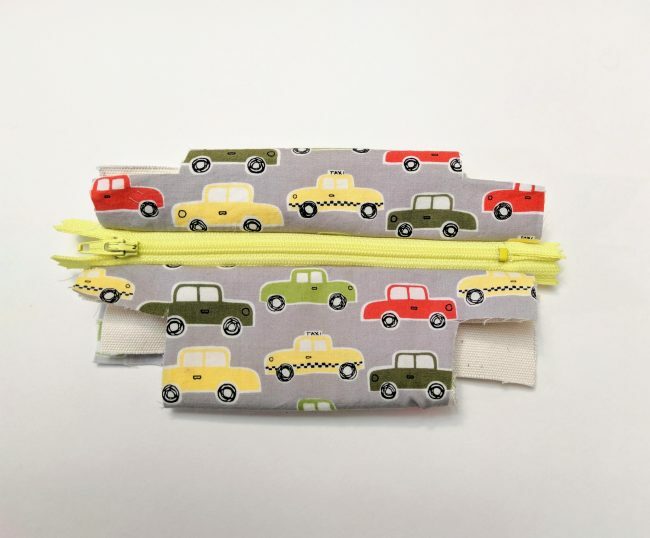 Zippers come in all lengths and even funky colors; they can really add pop to a small project. An exposed zipper is the most common type of zipper sewing project that you’ll come across. “Exposed” just means that the zipper itself and some zipper tape is showing and exposed on the surface of a project. Another type of zipper project that we won’t cover here is an invisible zipper. You can sew an exposed zipper as the back closure of a top, the same techniques found here apply to garment sewing. 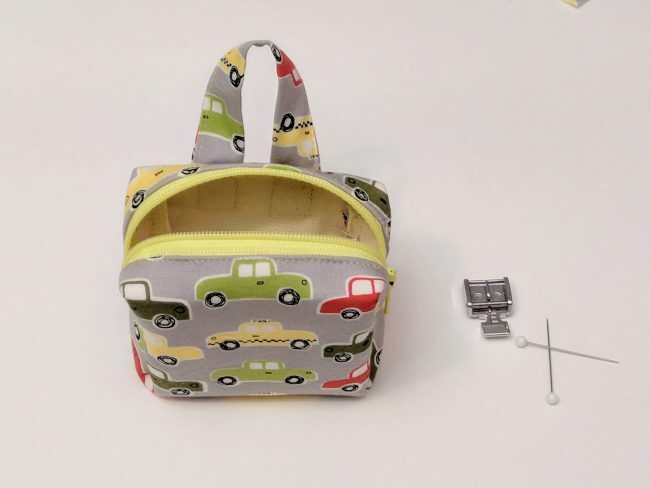 For this tutorial I decide to design a tiny zippered suitcase for my 8-year old daughter’s beloved doll. She has a standard 18 inch doll that she just loves to take on trips. 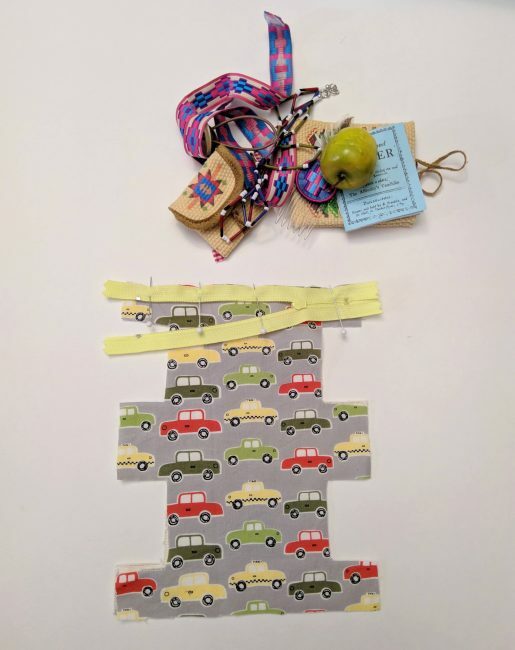 Her doll has many accessories which needed a home for our upcoming vacation to NYC, so I chose this adorable taxi cab print from the Urban Patch collection by Monaluna…since I knew we’d likely be taking a cab on outings! 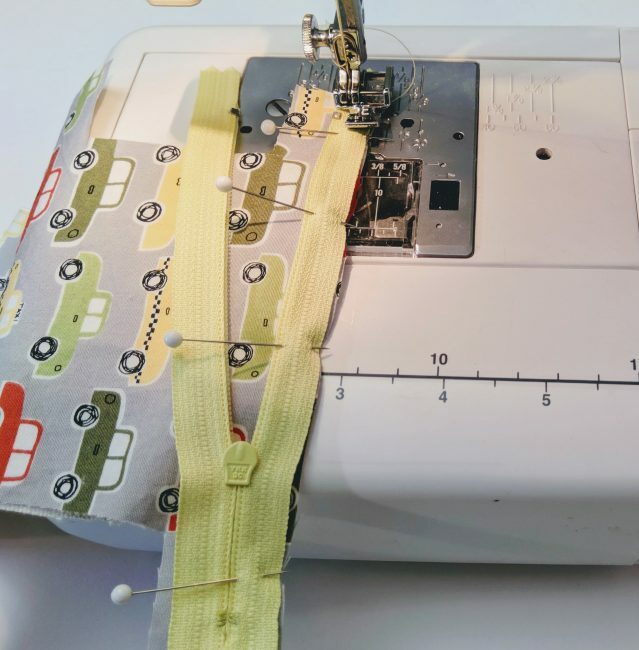 First, when a pattern calls for a specific length of zipper, the pattern maker is referring to the measurement from the very beginning of the metal zipper pull to the metal stopper. For example, I am using a 6 inch zipper for my doll suitcase. Next, always aim to add about a 1/4 inch on either side of the beginning and end point of the metal zipper measurement when cutting fabric. Below, I used 6 1/2 inches as my width at the very top of my suitcase fabric. 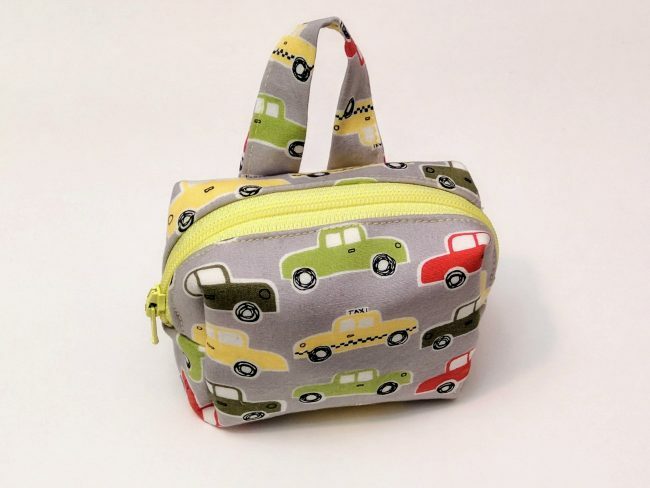 This ensures that the sewn zipper will look neatly tucked in when the project is finished. When sewing exposed zippers, always use a zipper foot as pictured above. Make sure to position the foot to glide past the zipper, and not directly on the zipper teeth. Depending on which side of the zipper you are sewing fabric to, the zipper foot can be clipped in two different spots. 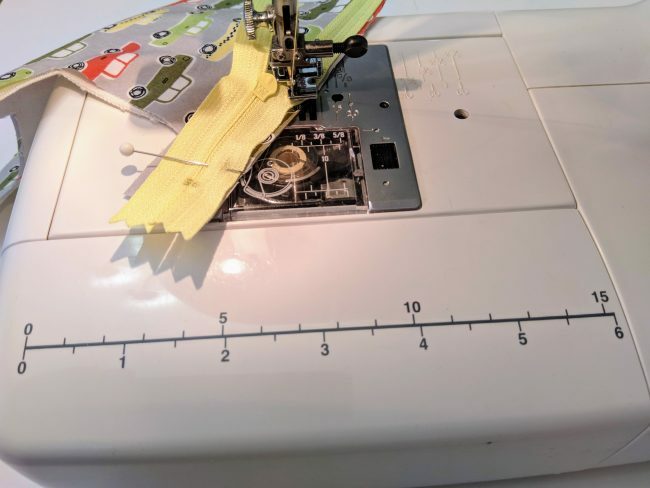 I have a Janome for this tutorial, so individual sewing machines may vary. Sewing over the zipper teeth could break a needle, so definitely sew about 1/4 inch to either side of the teeth when sewing an exposed zipper. For a first project or even generally, I recommend plastic zipper teeth over metal ones. 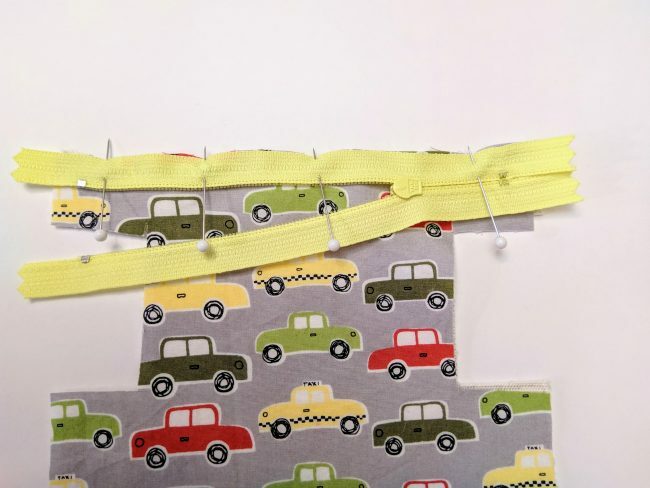 Sewing an exposed zipper to a garment may require the use of interfacing to stabilize fabric, especially if the outer layer is on the thin side. I used a layer of canvas as my interfacing for this project, so here my canvas/interfacing later is directly under the taxi print fabric. Okay, let’s tackle our zipper! Place the zipper face down so that the right side of the zipper and the right side of the fabric are together. Unzip the zipper about halfway and pin along the edge, centering the metal end points along the fabric edge. Using a regular straight stitch and the zipper foot, sew 1/4 inch from the edge down the length of the zipper. Stop before you get to the zipper pull, put the needle down and raise the presser foot. Swing the fabric out and close the zipper, continue sewing. Backstitch at both the beginning and end of sewing. Repeat with the other fabric piece and the other side of zipper. Be sure to leave the zipper partially unzipped if you are sewing a tube as I was, so that the tube can be turned right side out. Using a regular straight stitch and zigzag or straight stitch foot, topstitch if desired. Use the same technique as above, partially unzipping zipper and using the needle down function along with swinging the project around to manipulate around the zipper when needed. Here is my project reading for topstitching, I tried the topstitching with a zipper foot but quickly realized that I needed my regular foot. 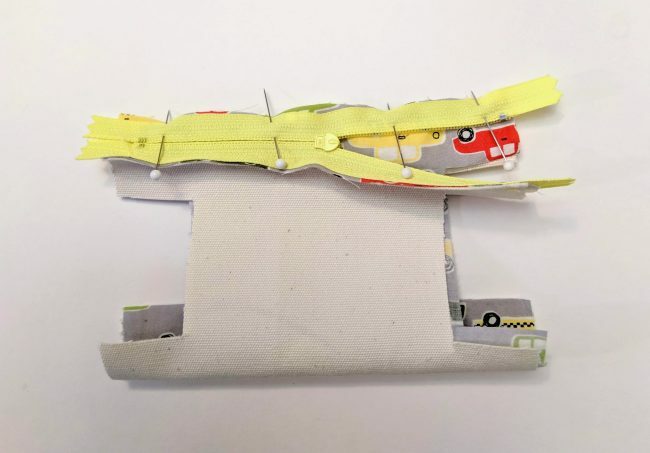 When you sew up a pouch or project like this one I’m using, you can safely sew the sides right up to the metal stopper as long as you don’t sew over it. There you have it, sewing an exposed zipper while keeping it simple. I love how this turned out! I added a tiny handle so that the doll can carry her own suitcase. Sewist, doula, wife and mama to three little girls. Fun idea! Is there a pattern for this or dime spins for cutting?